Today’s Flash Back Friday comes from Episode 241, originally published in January 2015. 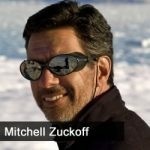 Today’s Holistic Survival Show sees author, Mitchell Zuckoff, as guest to describe how a straightforward swindle was transformed into months of notorious money-making in the hands of Charles Ponzi. We can learn a huge amount from the history and the figures, but Jason Hartman also steers the discussion into a more contemporary tone, asking Zuckoff for his advice on identifying bad deals and how to avoid getting sucked in. 06.34 – Swindles have existed for centuries, but what makes a Ponzi scheme so specific? 22.25 – Unbelievably, people are still getting caught up in scandals involving money in Nigeria. What definition of skeptical do these people live by?